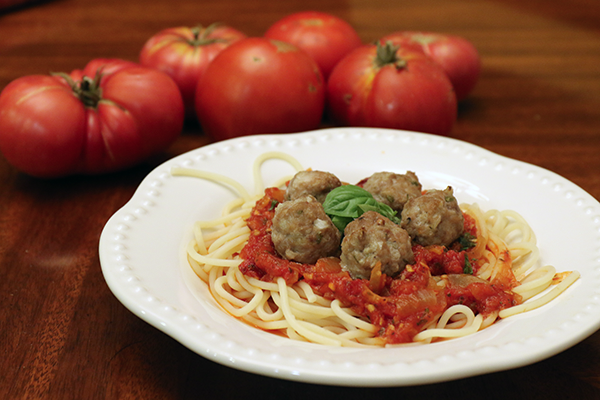 A classic Italian recipe that we have made healthy - using 50% turkey and baking the meatballs instead of frying. You’ll never notice the difference – and it means you can have an extra couple without feeling guilty! Olive oil, onion, garlic, tomatoes, fish sauce, anchovies and chili (optional), fresh or dried herbs, season as needed with salt, pepper, lemon juice, sugar (for longer instructions see our Pasta alla Norma recipe. 2. 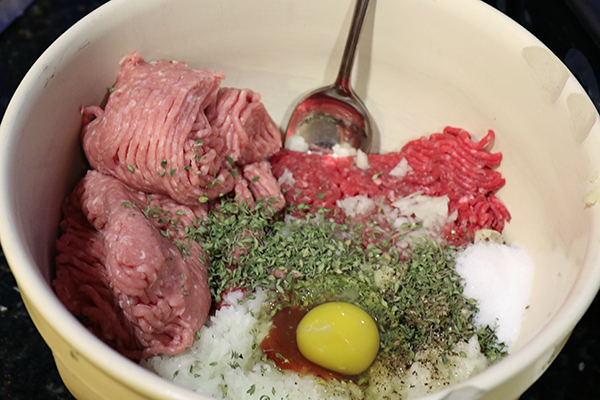 Combine all ingredients in large bowl – mix well. 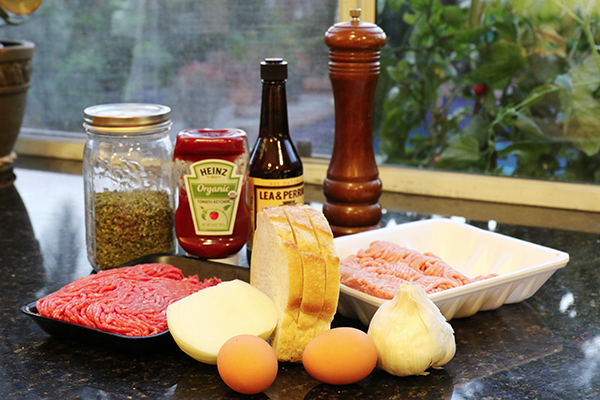 These are the main ingredients for the meatballs. 3. 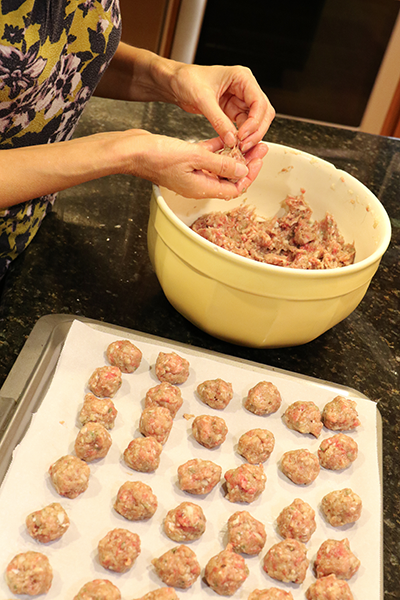 Use hands to shape mixture into small balls – about 1 to 1.5” in diameter. Size is really up to you - some Italian restaurants serve meatballs as big as plums. 4. 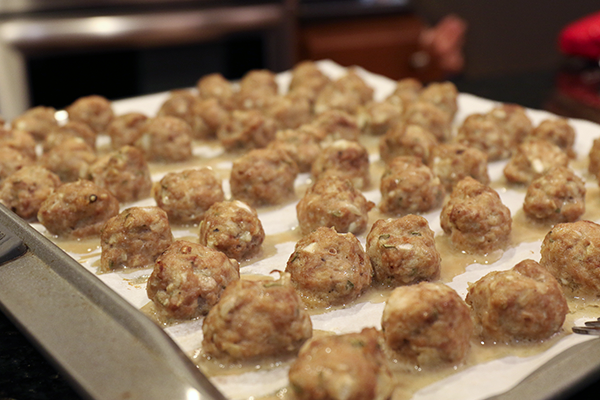 Place meatballs in the oven using a flat tray and parchment paper. Your pasta will take about 30 minutes - including time to boil the water and cook the pasta - so you should have the water on by now. 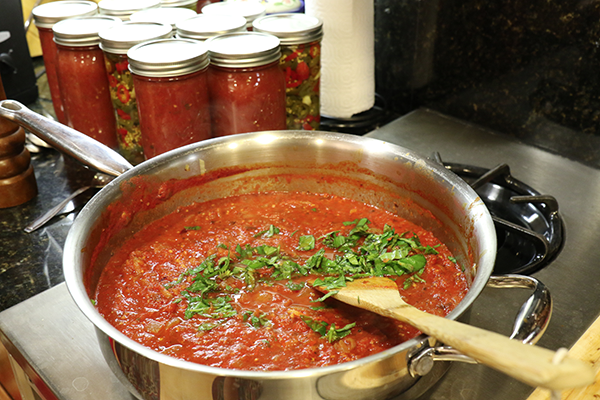 Your tomato sauce will take about 30 minutes to simmer down to a nice consistency - so you should have the onions and the garlic nicely softened and the tomato slurry added by the time the meatballs go in the oven. 6. 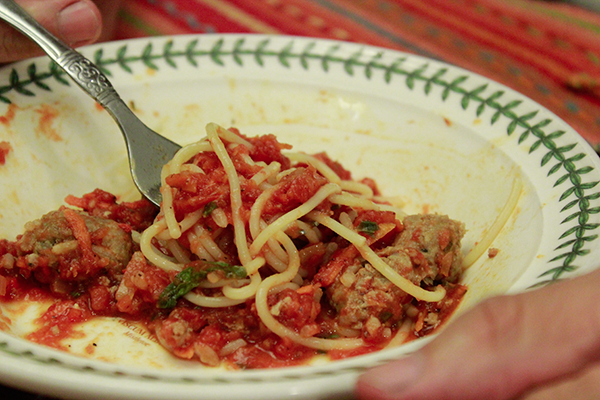 Serve with your sauce (they call it "gravy" in the East), pasta and top with basil - if you wanna be fancy.